Since the city’s founding, gardens have been an important part of Vasteel culture and a prominent part of the urbanscape. The modern aristocracy has continued the tradition with enthusiasm and has designed and cultivate horticultural wonders. One of the most prominent influencers in Vasteel landscape design is Jardin Hortus, an arcane botanist and expert in topiary. Early in his career, he developed the Helm of Plant Shaping which revolutionized ornamental gardening. The helm’s blueprints were acquired by the city in order to regulate manufacturing and to guard it as a state secret. Yes, Vasteel takes gardening very seriously. The Helm of Plant Life has 3 charges. As an action, you can target a cluster of healthy living plants within 60 feet and expend one or more charges to animate them. For each charge you expend, you form a Vine Blight (MM p.32) from the targeted foliage. As long as you are wearing the helmet, you have a telepathic connection with the Vine Blight, and it obeys your commands. If the helmet is removed while a Vine Blight is animated, you lose control of it, and it becomes hostile towards you and your party. If the Vine Blight drops to 0 hit points, it is destroyed. After 10 minutes, the Vine Blight roots itself back into the ground and ceases to be animated. You can arrange its final resting position into whatever shape you desire. The form must be contained within a 10-foot cube. You regain 1d4 charges every day at dawn. Landscaping apprentices are often given a Beginner’s Helm of Plant Shaping in order to cut their teeth. By its nature, it is not difficult to use, but it is extremely difficult to master. Being able to manipulate plants into the exact form you want requires a deep knowledge of how plants grow and develop. 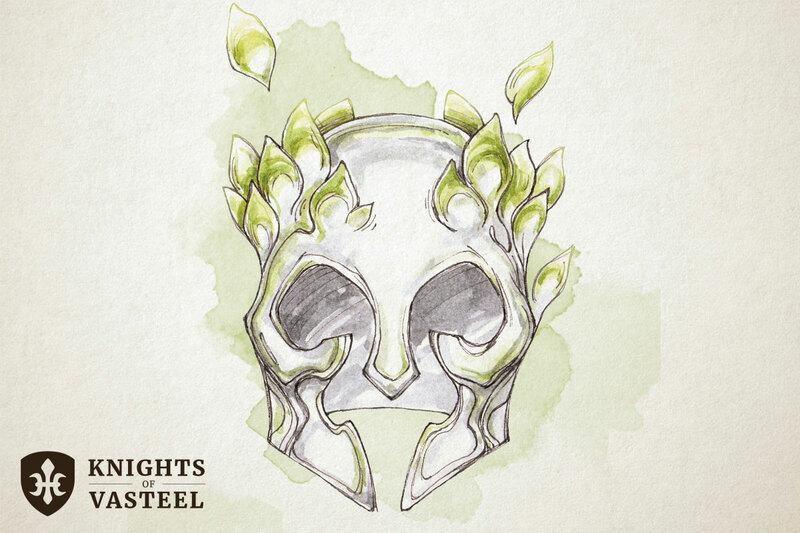 The Helm of Plant Life has 3 charges. As an action, you can target a cluster of healthy living plants within 60 feet and expend one or more charges to animate them. For each charge you expend, you form a Needle Blight (MM p.32) from the targeted foliage. As long as you are wearing the helmet, you have a telepathic connection with the Needle Blight, and it obeys your commands. If the helmet is removed while a Needle Blight is animated, you lose control of it, and it becomes hostile towards you and your party. If the Needle Blight drops to 0 hit points, it is destroyed. After 10 minutes, the Needle Blight roots itself back into the ground and ceases to be animated. You can arrange its final resting position into whatever shape you desire. The form must be contained within a 5-foot cube. You regain 1d4 charges every day at dawn.